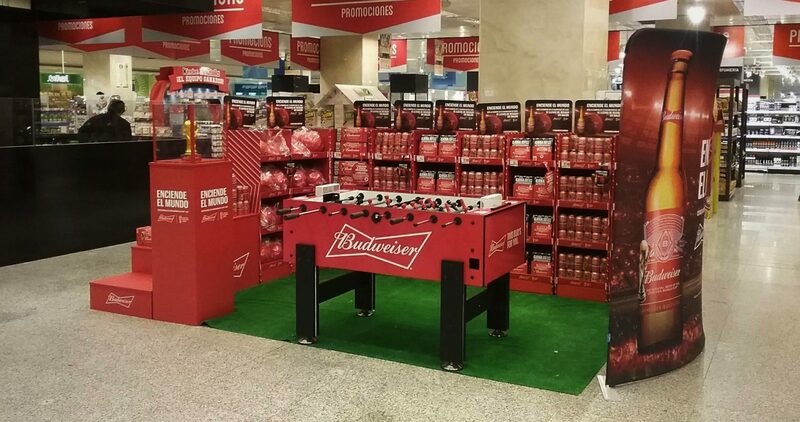 We are glad to support Budweiser in their outstanding World Cup promotion campaign. 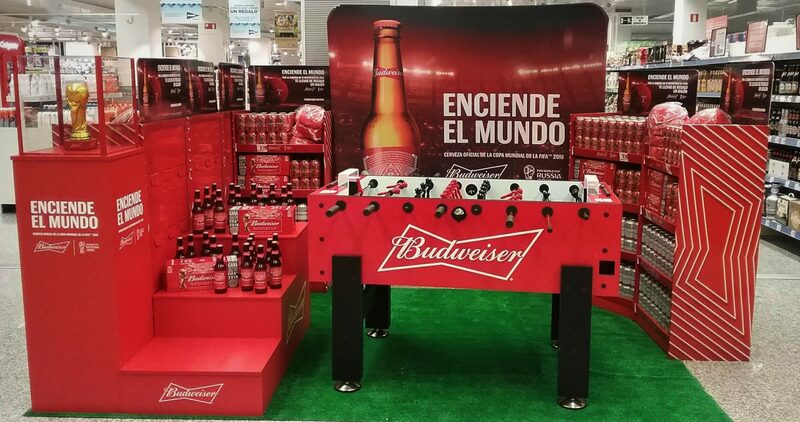 During June and July 2018 the Carromco Tournament Tables in Budweiser Design are used in more than 100 super- and hypermarkets all across Spain. As an eye-catching highlight, they draw attention to the special promotion areas for Budweiser’s Beer. On selected days, promoters are organizing tournaments in the market. We wish all participants best of success!